Last year, when the Allman Brothers and the Grateful Dead called it a day and retired from the road, many fans of the so-called Jam Band experience probably wondered if their favourite free-form rock bands had a successor. I believe that successor is the Tedeschi Trucks Band. 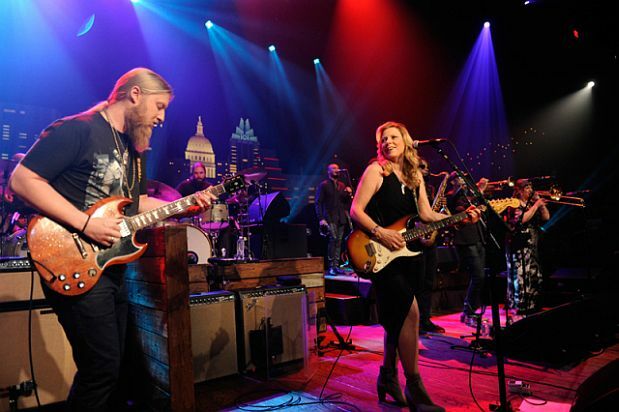 Formed in 2010 by Derek Trucks (formerly of the Allman Bros.) and seasoned Blues musician Susan Tedeschi, the 12-piece band took up the challenge and the demanding road schedule in earnest. 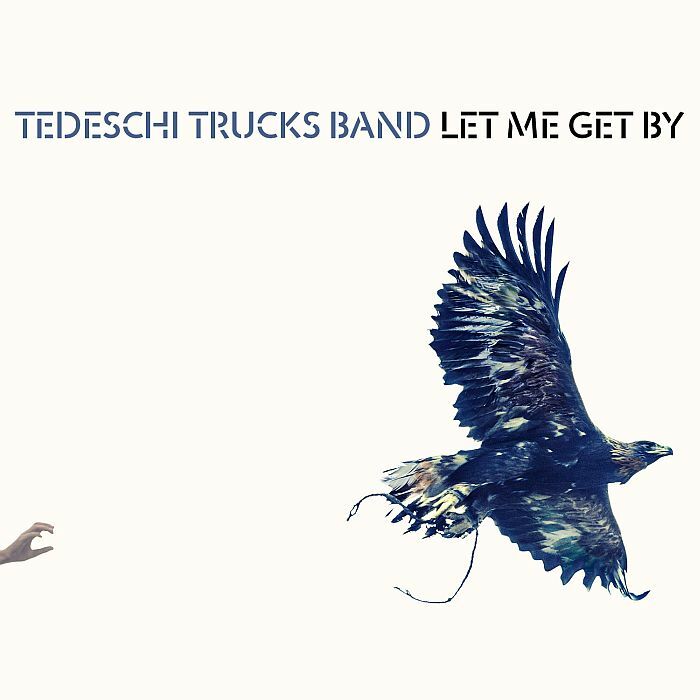 Trucks and Tedeschi are married, so the decision to start their own band meant, as working musicians, they could tour together. Let Me Get By (Fantasy) is the TTB’s third studio release in five years and it’s easily one of the best albums in the band’s short history – and one of the best records in the first half of 2016. The CD is a “road tested” collection of songs with rich arrangements and a solid mix of blues, rock and soul music, making it a robust and powerful album. The album casually fades in with the song “Anyhow," a really strong opener to the record with its steady groove and funky horn-line. It’s a song about loyalty and the lessons life can teach a troubled soul. The next song “Laugh About It” takes it to the next level as Tedeschi sings “Rise Up, it’s worth a chance” encouraging listeners to take assertive steps to feel better about their troubled lives. In 10 minutes the TTB welcome you into their inspired world. In fact the whole album is about the value of life and the power of music to lift one’s soul. Cynicism be damned! Other highlights include two tracks sung by one of the very talented band members, Mike Mattison; Mattison is featured on “Right On Time” and the extended track “Crying Over You/Swamp Raga,” which is the free-form song on the album that suggests it could be longer in concert. Clearly, the members of the band are not just backing its lead singer and guitar-player: they are full-time participants in the creation of these unpretentious tunes. As the album finishes we’re left with the parting words: “In every heart there’s a voice, getting a word in through all that noise.” For the 12-piece Tedeschi Trucks Band, that voice is united. The Tedeschi Trucks Band hits the road this year including some mid-summer shows under the banner “Wheels of Soul” featuring Los Lobos and the North Mississippi Allstars. For fans of the Jam Band tradition, I don’t think you’ll be disappointed. – John Corcelli is a music critic, broadcast/producer, musician and member of the Festival Wind Orchestra. He's just finished Frank Zappa FAQ: All That's Left to Know About the Father of Invention (Backbeat Books) to be released in September.